There's no denying tube baits catch monster bass. Typically tube baits are used with open hook internal jig heads however this causes them to be more prone to snagging or fouling up with vegetation. When around cover a weedless approach is needed and finding the right hook for tube baits can be tricky some times. Trokar has answered the call and provided the sharpest tube hook on the market which incorporates their exclusive B.A.R.B. 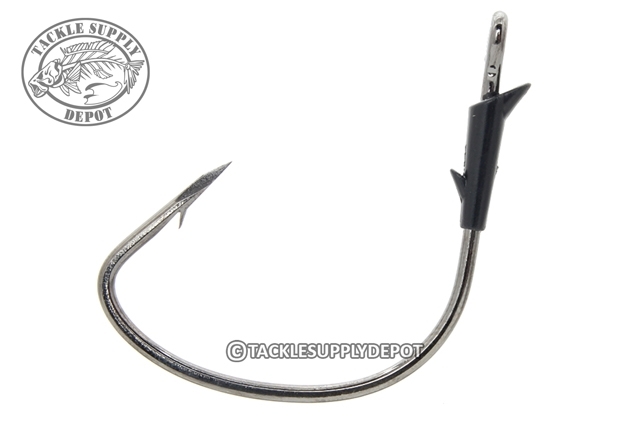 keeper that is affixed to the hook's shank and a deep hook bend perfect for pinning hooked bass.